20,000 Consumer Debt Defendants Served! 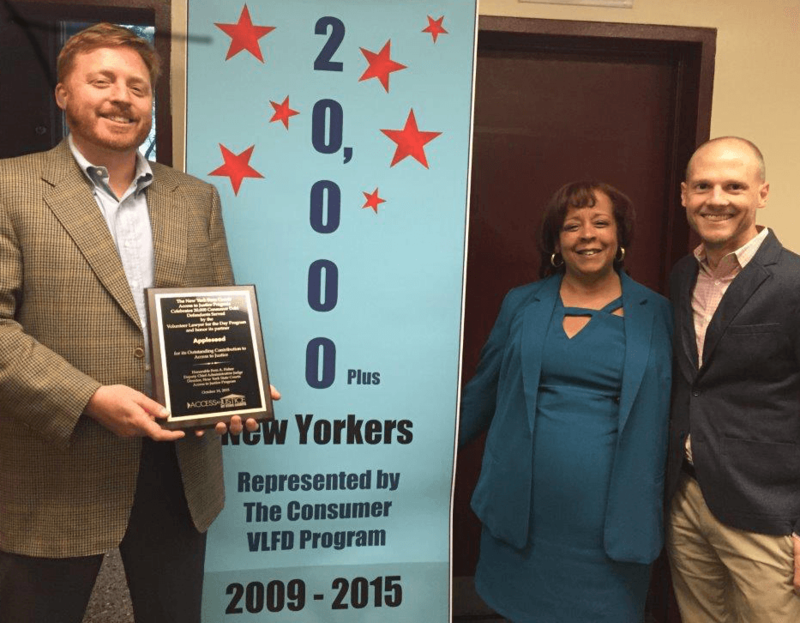 New York Appleseed celebrated 20,000 consumer-debt defendants served through the Volunteer Lawyer for the Day – Consumer Credit Project — originally piloted by New York Appleseed in 2009. Pictured here are (from left) Executive Director David Tipson, the Honorable Fern Fisher, Deputy Chief Administrative Judge for New York City Courts and Director of the New York State Courts Access to Justice Program, and Adam Friedl, who created the Brooklyn pilot program with New York Appleseed and the Access to Justice Program in 2009.